Not many people will ever make it to the NFL as a professional football player. But how many do you know make it to the NFL as a cheerleader. Then transition herself as a fortune 500 executive. Then into a million dollar mogual and #1 international best selling author. Also to having a very successful podcast. 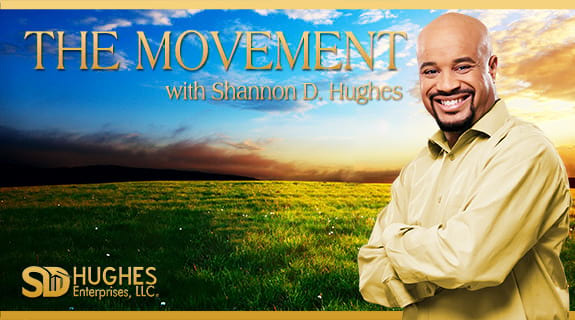 Next time on The Movement with Shannon D Hughes, Shannon talks to Kelly Roach. She will talk about her experience as a NFL cheerleader. Her time as a fortune 500 executive and how she parlayed her experience into becoming one of the most successful and sought after business consultants. Kelly Roach is a highly sought after business growth strategist on a mission to help 1,000,000 entrepreneurs launch, monetize, and scale their dream business… without compromising their quality of life or going broke in the process. From NFL Cheerleader to Fortune 500 exec and now million dollar mogul, Kelly is the author of the #1 international bestselling book, Unstoppable:9 Principles For Unlimited Success In Business And In Life, and the upcoming book, Bigger Than You: The Business Owner’s Guide to Building an Unstoppable Dream Team (to be released October 2018) Kelly has been featured in Inc, Forbes, Bloomberg Businessweek, Entrepreneur On Fire, ABC Good Day, and hundreds of podcasts.